MADE EASY Cricket Academy is an effort to bridge the distance between your dreams and penning their success. 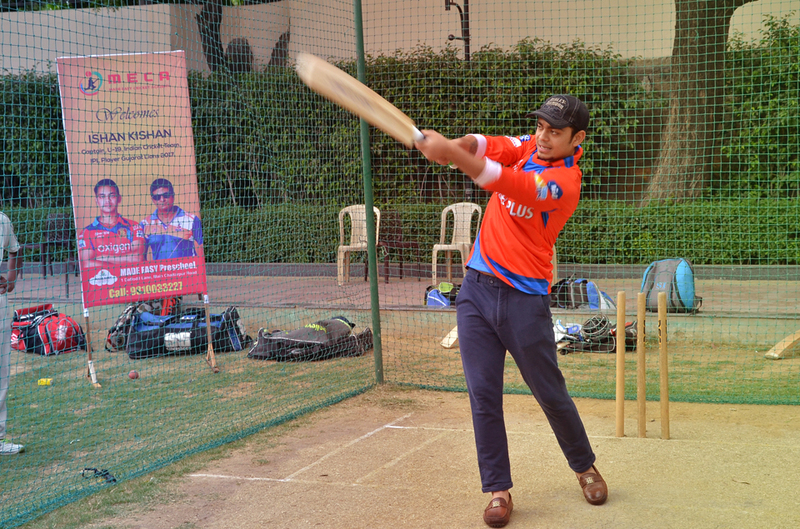 MECA is equipped with all amenities for grooming talent and transforming them into budding cricketers. 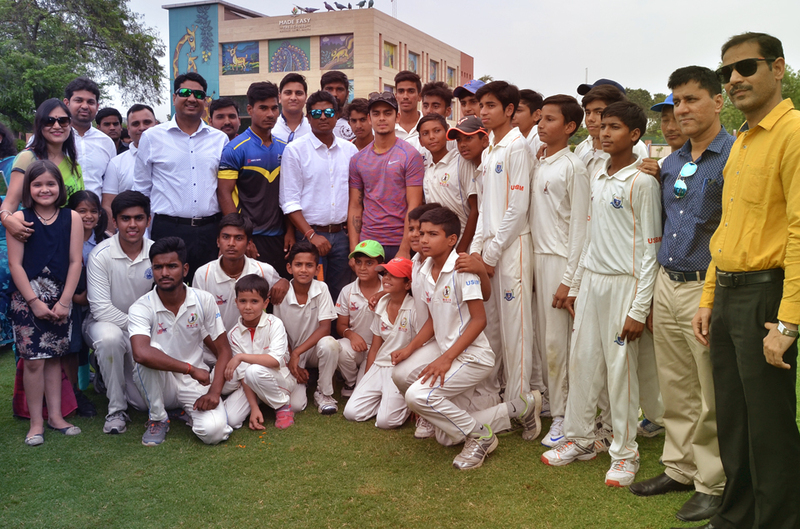 The institute operates under the stewardship of Mr. Uttam Mazumdar, whose coaching prowess became known to the world when his protégé Ishan Kishan rocked the cricketing world by his staggering hits and immaculate technique in the U-19 world cup. Cricket, elsewhere known as a game, is a religion in India. The Gentleman’s game was introduced in India by the British aristocrats. The game, found as a children’s activity in the south west England, flourished in the Indian subcontinent. MADE EASY Cricket Academy is promoted by the MADE EASY group, which has emerged as the biggest institute for preparation of GATE and ESE Examinations. Under the vision of Mr. B. Singh, The Group has witnessed steadfast growth and has extended its philosophy to Schools and Preschools. 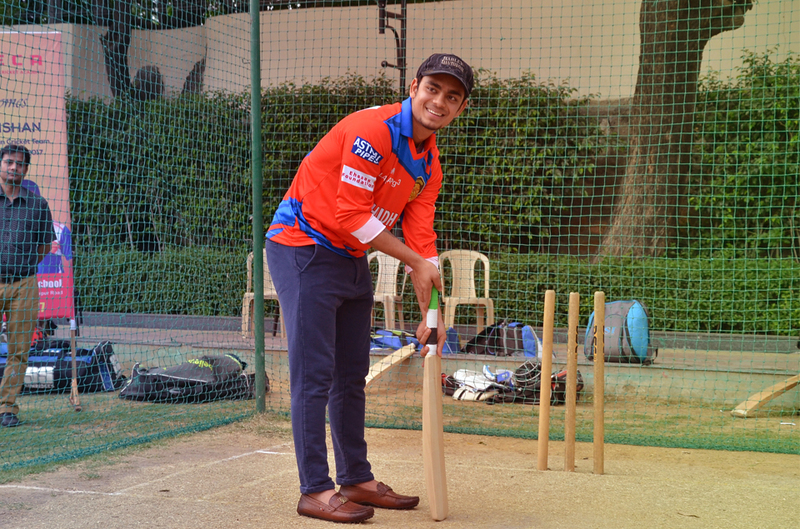 “MECA”- MADE EASY Cricket Academy is another effort where MADE EASY helps children develop their cricket skills. MECA is our earnest endeavor to implement the success formula of the MADE EASY. MADE EASY’s expertise is evident by the fact that more than half of the UPSC ESE selections were from MADE EASY. Our holistic learning model is driven by the philosophy of mentoring over tutoring to allure the learners towards acquiring skills voluntarily. Our educational institutions have enjoyed phenomenal success owing to this guiding principle and we are now the undisputed leaders in churning out the best technocrats. It is my firm belief that MECA will rise to ranks very soon and our players will make it to the IPL, Ranji and eventually the Men in Blue. I warmly welcome all the aspiring Master Blasters and Speedsters to get benefitted from the world class facilities and bespoke talent honing at MECA. We need your spirit, dedication, and most importantly humble submission to the Guru, MECA’s talent mentors. Cricket, elsewhere known as a game, is a religion in India. The Gentleman’s game, introduced in India by the British aristocrats, was originally found as a children’s activity in the south west England and flourished in the Indian subcontinent. It would not be an overstatement to say that most of the Indian children have idolized the likes of Tendulkar, Dravid or Kapil Dev and their parents’ dream of helping them succeed in the endeavor. We offer a range of coaching solutions for children of diverse age groups through daily and weekly sessions, including special courses during school holidays. 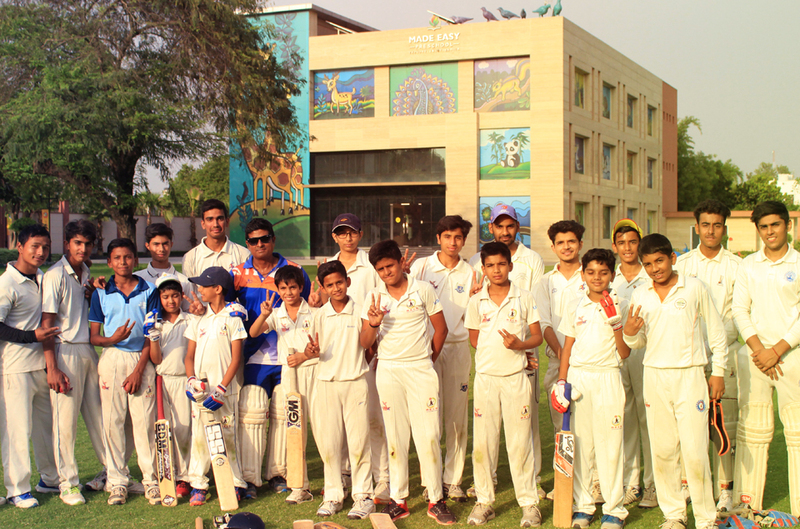 Our exhaustive cricket curriculum aims to develop every aspect of the game, build on existing talent, and create future cricketing stars. Our skill development & training program uses encapsulated modules, Strength Area Development Planners to provide innovative and creative, yet, measurable learning environment, and equal opportunities for students to derive the most from their abilities on field. Our students receive extensive coaching and training sessions to develop every aspect of the game – starting from increasing fitness level through strength and conditioning training to perfecting skills and expertise areas through one-on-one coaching sessions. Our regular morning and evening sessions help provide exposure to different cricketing atmosphere to the young cricketers. MADE EASY Cricket Academy (MECA) is an effort to bridge the distance between your dreams and penning their success. 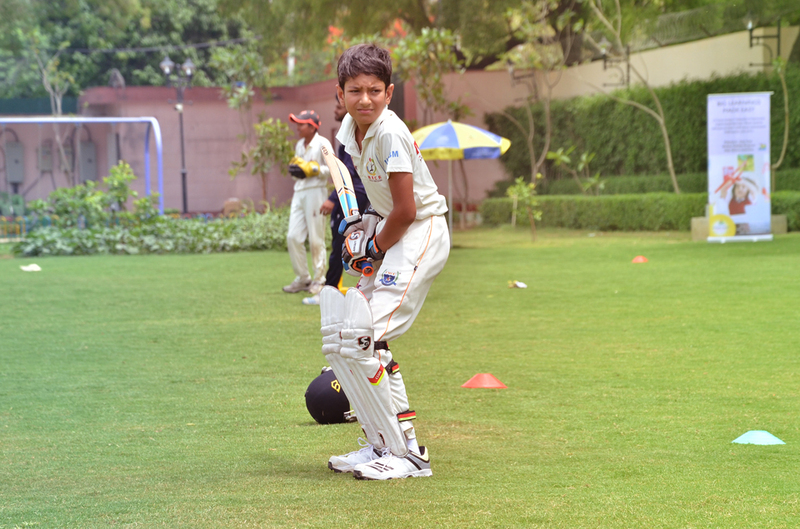 MECA is equipped with all amenities for grooming talent and transforming them into budding cricketers. Driven by the vision of MADE EASY model of infusing excellence into learning, MECA has expert coaches for identifying the potential of youngsters, grooming them in the best possible manner, and honing their skills with a finesse. MECA has state-of-the-art learning facilities and equipment for gauging the performance of the young buds and assisting the transition from a rookie to a pro. In this course we aim to provide basic introduction to the game of cricket, focusing on developing movement and skills needed for becoming a cricketer. Along with developing skills such as running, jumping, hand-eye co-ordination, catching, throwing and hitting, social skills such as listening, concentration and observation are also harnessed. The course highlights on helping budding cricketers develop their skill sets in every aspect of the game through focused coaching sessions. 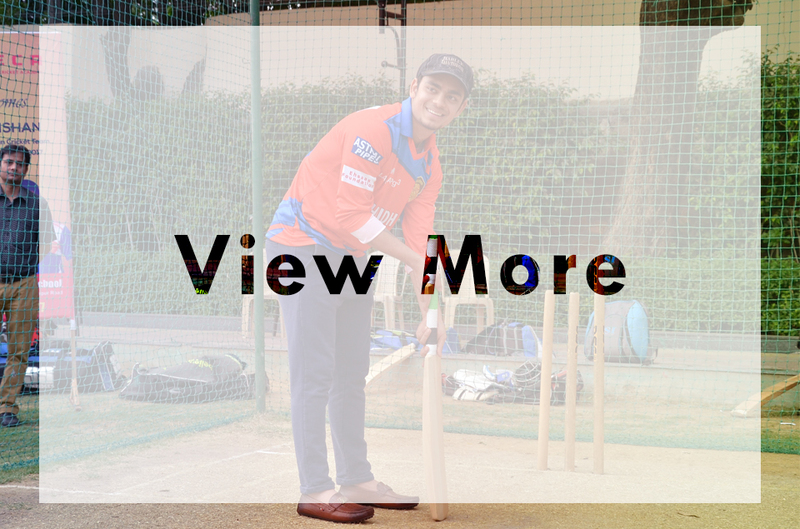 While chiselling basic cricketing skills such as bowling, batting, throwing, hand-eye co-ordination, running and catching are a mandatory part of the course, the students are also given training through net practice, ground fielding etc.